11:56 AM PT -- A rep for Mia St. John tells TMZ, Mia -- Kristoff's ex-wife -- is NOT the one who called police or got the photos of him holding a gun to his head. 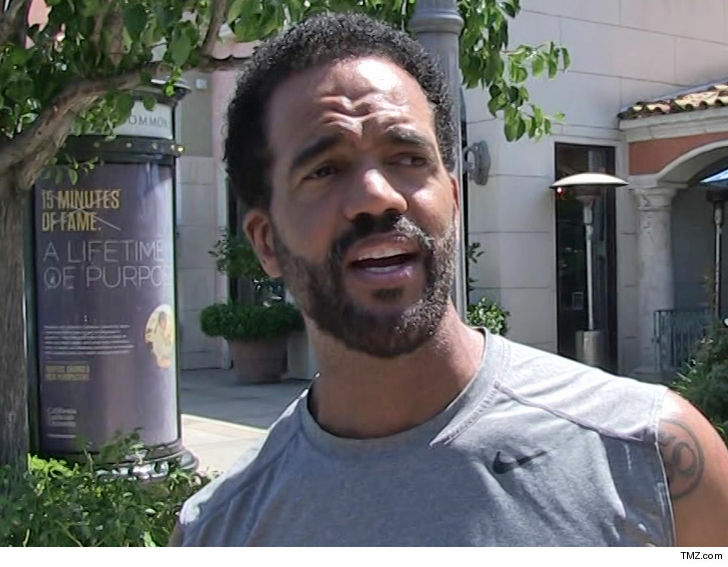 'Young and The Restless' star Kristoff St. John was hospitalized and placed under psychiatric evaluation after allegedly threatening to kill himself with a gun. Law enforcement sources tell TMZ ... an ex of Kristoff's called cops Thursday evening and told them Kristoff had been sending her photos showing the soap star holding a gun to his head. When cops arrived, they confiscated 2 guns and placed Kristoff under a 72-hour hold for mental evaluation. Sources close to Kristoff tell us the 2-year anniversary of his son Julian's suicide is fast approaching -- November 23 -- and that had him very, very upset. Kristoff's ex set up the "El Saber es Poder" ("Knowledge is Power") Foundation to battle mental illness following Julian's death.